Member of Southsea and former Trustee and Honorary Treasurer. I joined NWR in 2005 and have endeavoured to attend every conference since 2007. At my first meeting I was made very welcome, I took to NWR like the proverbial 'Duck to Water'. If only I'd known about our wonderful organisation when it launched in the sixties, I hate to think of all those years I missed. After having served a stint as a U3A chair I felt confident enough to offer myself as trustee so I could give something back to our wonderful organisation. These days I use my IT skills to assist the groups with entering programme details and news items. 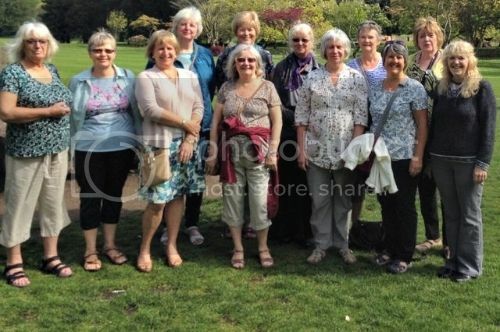 Twelve of us, eleven members from the Aston and the Rotherham groups along with a former member from Dudley NWR made their fourth annual city break to Cardiff in early May 2016. On previous trips we have visited Glasgow, Bath and Newcastle. We travelled by train, arriving at our hotel early Friday afternoon. Some of us took the Hop On/Hop Off bus as an orientation tour whilst others set out to explore the city on foot. 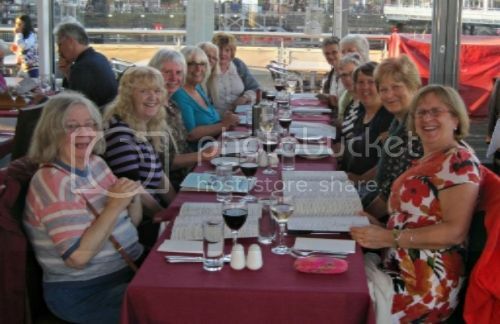 We all met up for dinner then some of us went to the cinema to see the Meryl Streep in Florence Foster Jenkins - highly recommended - while the others walked to the waterfront. We were all pleasantly surprised by what Cardiff has to offer - far more than we were able to fit into a weekend - and the friendliness of the Welsh people. It was well worth a visit. This too good to be true news article was published by "Strong Island"
"Construction has commenced on the Solent Stone Bridge, a development which will see a free-to-use bridge installed between Portsmouth and the Isle of Wight. The four-mile bridge will be built entirely from boulders which were discovered beneath Portsmouth City Council's Civic Offices during a recent archaeological dig conducted by the University of Portsmouth. Professor Doug A. Hole, Head of Discovery at the university, will work with Professor Christopher C. Christopherson, Head of Reusability, to plan and build the bridge. "We found a bunch of dusty old rocks at the Civic Offices," Professor Hole told Team Locals, "and we figured, why not put them to good use?" Unlike traditional bridges, the Solent Stone Bridge will be a long stretch of tiny stepping stones, as opposed to a continuous stable platform. Due to a design which puts unobstructed shipping lanes forward as a key priority, the bridge will only be accessible for a few minutes each day, at the lowest of tides. Councillor Jobs, Cabinet Member of Attempts at Innovation, said: "The stones are tightly-packed enough to be traversed by car." When asked about whether cyclists will be able to use the bridge, Councillor Jobs said: "Cyclists?" Solent Stone Bridge, a project that is being privately-funded by Rocky Ideas Ltd., will span from the shoreline beside the Pyramids Centre to the seaward end of Ryde Pier. Commercial spaces will be available for lease along the bridge, with a Subway and three Costa coffeeshops already expected to open. Randal Young, a local resident, praised the development, saying: "It'll make it much easier to cross to the Isle of Wight. I'll be popping over to Ryde a lot more now, so I can look back at Portsmouth and contemplate how pretty it looks from afar." Mr. Swanson, another Portsmouth resident, seemed less ecstatic about the Solent Stone Bridge, telling us: "I know there's something I dislike about this idea. I'm not one-hundred percent sure what it is yet, but I'll definitely be thinking of something to complain about." Solent Stone Bridge is set to open to the public on 31st September 2016"
Choose a female architect to discuss. Do they have different ideas about design to men? January 25th - Does the BBC have a future? Let's talk about Auntie Beeb. Outmoded? Irrelevant? A waste of money? Air your opinions on this great institution and let's plan it's future together. Research an aspect of this interesting country. Geography, Politics, Economy, Flora and Fauna, Society, Arts and Culture, History. February 15th - Our Favourite Bird. Choose a bird to talk about. It is Polly's birthday. Let's celebrate with her. Have a look at some toy shops online of in the town. How do they market toys? How have toys changed? Do you still have a toy from your childhood? Have you had your garden designed? How did you go about it? Have you plans for a garden? What designs work in our area? What is your ideal garden design? Bring sketches if you can! Two men sat near to each other on a train and they were identical in looks. In 1930 a baby fell out of a window and was saved by a man who saved the baby's life again the following year. Any uncanny coincidences in your life? What do we understand by transgender? Research the history processes and the psychology behind this and share your research and anecdotes. Bring ideas for topics and speakers as we plan our next programme..
What are the benefits of having pets? What pets have you had and how did they contribute to your life. Have you any stories about unusual pets. Bring photos if you wish. Dec 14th - Christmas Party. We’ll go out for a meal and festive celebration.